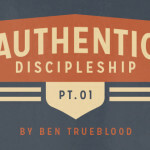 Attribute #4: Sharing Christ – Inherent to being a disciple of Christ is the making of other disciple-makers for Christ. Even with the need to live out the effects of the gospel, maturing believers know that speaking about the message is a necessity. Transformation is evident when we talk about the source of it. This, however, is an area of student ministry that is often missed or mishandled. The way that I like to describe this to students is that a mature believer often has Jesus “on their lips.” It is fine to teach your students common ways to share the gospel like the Romans road, but I don’t believe that this yields a good measurement for true discipleship. What we should be looking for is the point in the life of a student at which they begin to speak of Jesus naturally. When a student in my ministry began to approach me consistently about something that they had read in the scriptures or someone whom they were burdened for instead of the typical student drama, I knew they were ready for a deeper discipleship journey. This desire for the word and its power in their life is a true marker of progress in a student’s spiritual life which can only be fostered through intentional guidance through the word of God, and constant training in articulating that truth to others through the message of the gospel. Attribute #5: Exercising Faith – Can you measure a person’s faith? Probably not. But you can see it when it is put into action. Believers participating in the research noted that they knew the importance of living by faith as opposed to by personal strength. Transformation is seen in believers when risk-aversion is set aside and our lives are characterized by faithful obedience to God’s will. So what does this look like? This is somewhat different according the context in which you are serving, but risk aversion for most students leans into whether or not they are willing to stand out among their peers because of their faith. Will they be ostracized? Will they be called names? Will they be hated? Likely, there will be some level of this, but the Christian who is exercising their faith in obedience to God is able to withstand these attacks on their faith by the power of God. Attribute #6: Seeking God – A person becomes a disciple of Christ because they intend to follow Him and become like Him. A continuous hunger should arise from this life. It is referred to in Scripture as our “first love” and believers are commanded at times to return to it. Transformation is seen when our desire is to know God more deeply and experience His work more fully. Colossians 3:17 says, “And whatever you do, in word or deed do everything in the name of of the Lord Jesus, giving thanks to God the Father through him.” Teach your students what it looks like to pursue everything that they endeavour to do through the lense of their service to Christ! Students shouldn’t just live at church all of the time because they have been gifted to do many things! Their middle and high school years are great years of discovery, but they should learn to do all that they do for Christ and His kingdom. Teach them to genuinely seek God in all that they do, and they will find themselves naturally choosing the things of God over the things of the world.